The ancient people who toiled the earth long before the modern man made so many earth-moving moral discoveries that not only kept them strong and agile but prolonged their days far more than that of the modern man. One of those earth-moving moral discoveries is the inalienable fact that 'Truth Is Life'. They detest those who hate truth and dissociated themselves from them. Thus, in those days, it was very easy to know or detect people's value as those who work against truth were not spared by either their immediate family or community at large. Life then was not just sweet but very stainless and sinless as the society was purged of insincere people of various backgrounds. This analogy simply brings me to the current issue on ground. Just a forth night ago, the news had it all over the world that Britain has finally voted to go out of European Union. I remember reading about their campaign to opt out of EU some months ago. I also read about the points they raised for leaving EU. Those points were not as serious as that of Biafra in every sense of comparison. But today, the will of the people have prevailed, that is great! Buhari noted that by “putting the will of the people before his political future, the Prime Minister proved himself to be a selfless leader with respect for democracy and voters’ sovereignty.’’ There is nothing virtually wrong for any person including Buhari to eulogise Mr. Cameron's resignation. But there is everything wrong for a person like Buhari to applaud Cameron and pretend or turn a deaf ear to the Biafra agitation to exit from Nigeria. Muhammadu Buhari should be bold enough to let Biafra go just as EU was bold enough to accept the fact that there is freedom to self rule and as such allowed Britain to go out of European Union. The message is clear and Buhari understands it. To continue to kill, maim, and incarcerate the Indigenous People of Biafra and their leader, Mazi Nnamdi Kanu, for calling for separation, simply amounts to gross injustice and hypocrisy on Buhari’s part. It is on record that nobody including an ant was killed in Britain by the European Union because they demanded to go out from the body. But the reverse is the case in Nigeria where Buhari has not only used military force on the armless Biafrans, but as well used the judiciary to subjugate his perceived oppositions. 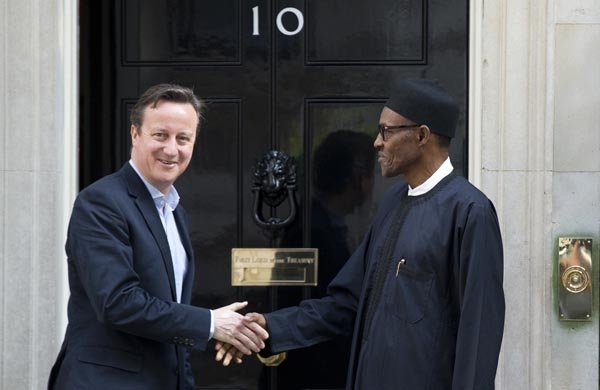 His quick applaud to Mr. Cameron is an act of sheer hypocrisy usually displayed by Buhari when issues with regard self determination is being discussed. Buhari has severally shown that self determimation is a welcome development as long as it is not Nigeria dividing. Based on his past and present support for self rule towards his allies, the Palestines, Western Sahara and now Britain, it is now evident that Buhari is a not only a cunning fellow, but a heartless one at that. Britain's bold step should be a very great lesson to Buhari to understand that no one can continually be caged to perpetual slavery as he is currently doing. We need our own freedom from Nigeria just the way Britain saw it fit to leave European Union. The message is clear and Buhari should understand and act on it immediately as we look forward to Biafra restoration. Buhari is not only a confused person, but a hypocrite and useless man. In fact the BREXIT and Buhari’s hypocritical commendation of PM Cameron should compel IPOB and all Biafrans to escalate Biafra's independence from evil and Islamic Nigerian State.